It’s Kerang, really, but if you live here, you don’t need all those pesky vowels. And I do live here, at least for now. I’m here for a few weeks, on a kind of writing retreat, for some much-needed head-space and novel-writing time, as well as visiting a few schools and some other random bits and pieces. 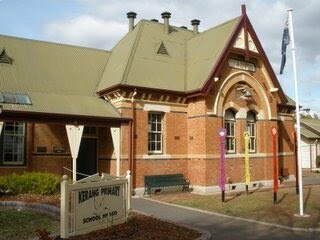 Yesterday, I spent some time at Kerang Primary, just down the road from where I’m staying. It’s one of those gorgeous old country schools, not unlike the school I went to when I was growing up in Eaglehawk, near Bendigo (I’ll be visiting Eaglehawk North in a few days, which I’m very happy about), so in a weird way, it feels like home. I talked about reading and writing and about some of my books (my favourite boys, Nathan, Ronnie and Weasel featured heavily in the discussions). I also talked about where stories come from and some ways in which you can turn your writer eyes on to see the ideas that are lurking all around you. 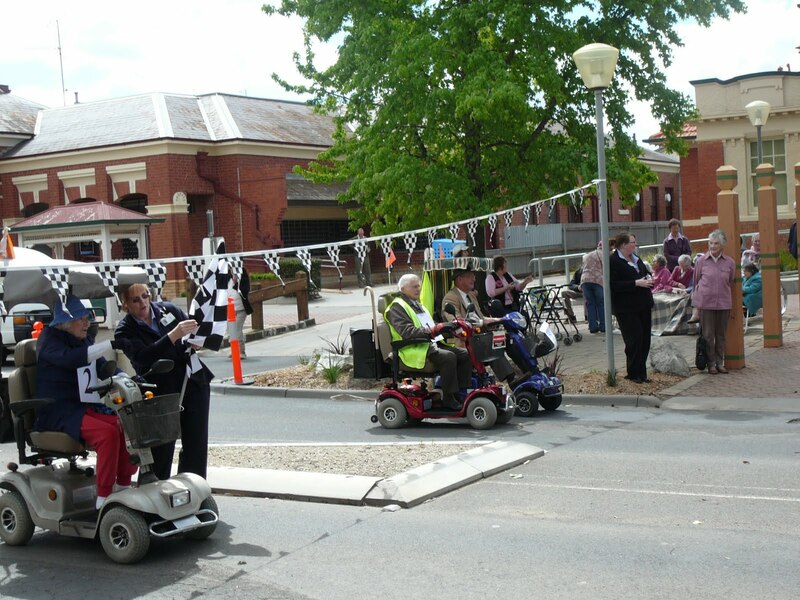 It’s the annual Kerang scooter race, which took place down near the clock tower at lunchtime today – best community event ever, and a story in there somewhere for sure! I’m having a great time here, and even getting some good writing time in. It’s an unusual place for a retreat, but the air and the space and the relaxing, slow pace really work together to clear my head. 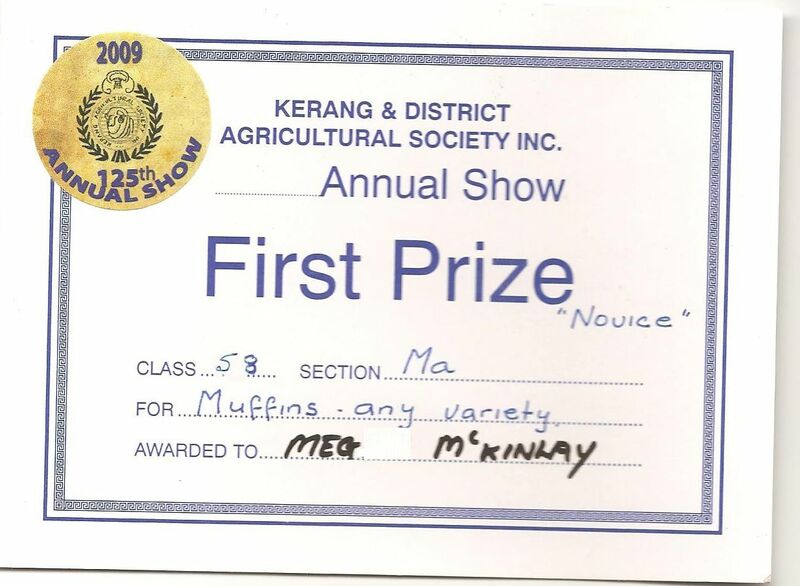 Oh, and Kerang also has the best Annual Show ever, at which they have most excellent taste in muffins. 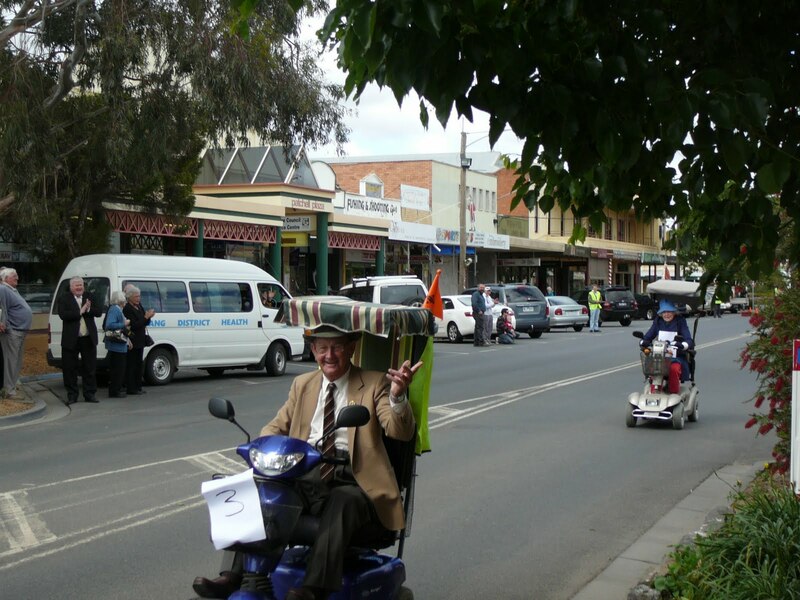 This entry was posted in Events and tagged school visits, writing on October 13, 2009 by Meg McKinlay.